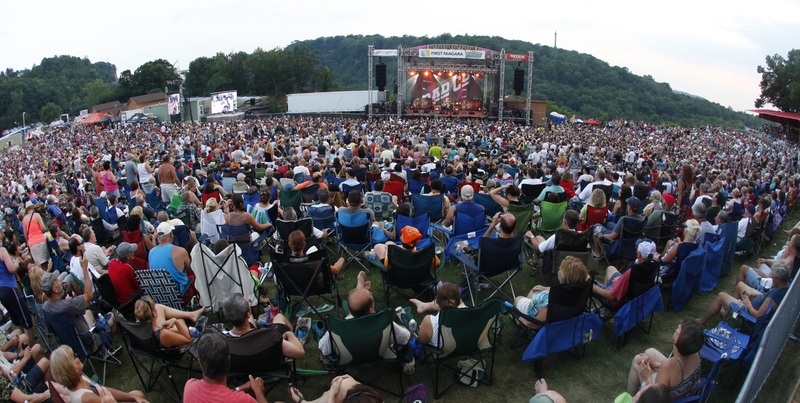 A huge crowd turned out for the Bad Company concert at Artpark last summer. Town Supervisor Dennis Brochey opposes town funding for extra police services required during the concerts. LEWISTON – Tens of thousands of concertgoers stream into Artpark concerts every summer, but the cost of police protection there turned into a long and sometimes heated debate at Monday’s meeting of the Lewiston Town Board. Councilman Ronald Winkley, a former Lewiston police chief who served for a time on the Artpark board of directors, said figures on the cost of police protection presented by Town Supervisor Dennis J. Brochey and Finance Officer Paul Kloosterman were too high. Kloosterman told the board that with 18 concerts it would cost the Village and Town about $75,000 for police services, while Winkley said the cost was closer to $30,000. Brochey has said he would also like to eliminate money paid to Artpark that comes to Lewiston in Modern Disposal tipping fees, approximately $100,000 or more per year, but the board did not take any action to change that. The board voted to release the tipping fees already owed to Artpark and Company, subject to an invoice for police services. The board agreed to meet to work out the correct amount. Winkley said he should be able to vote on the matter because he is no longer on the Artpark board, but he agreed to recuse himself at Brochey’s request. John Camp, chairman of the Artpark Board of Directors, said before the meeting that the town was within its rights to redirect its funds, but said Artpark does not have $1.3 million in revenues, as was stated by Brochey at a prior meeting and said some of those funds are grants that were received to upgrade Artpark. He said funding is used to support the mission of providing family programs, and the money from tipping fees is part of the budget planning. He said Artpark receives $100,000 to $120,000 each year and those funds are specifically designated for family programs. After a lengthy discussion, Brochey suggested Winkley was on the side of Artpark. Brochey said he was trying to avoid the town having to pay a tax. Brochey, who is a former Lewiston village trustee, said he has been working for the past year to get Artpark to pay more and said the Town of Lewiston could use the money because of reduced tipping fees for the town and a drop in sales tax revenues. Camp said Artpark did not pay the town for police costs last year because it did not get a bill.